We had the fortunate opportunity to see Lindsay grow over the years as a valuable member of our team. 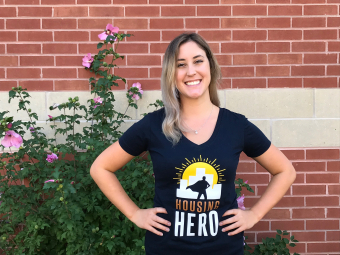 Lindsay explains, “I first heard of Bethlehem Housing and Support Services in 2015 when I was taking the Event Management program at Niagara College. I had the opportunity to complete my placement with Bethlehem to help plan and execute their signature fundraising event, Empty Bowls." Lindsay efficiently organized several Bethlehem events including; Empty Bowls, Naturalized Playground Grand Opening, Groundbreaking Ceremony, and our 30 Year Celebration Event. She has been instrumental in developing our marketing and communications tools and has greatly enhanced our social media presence. 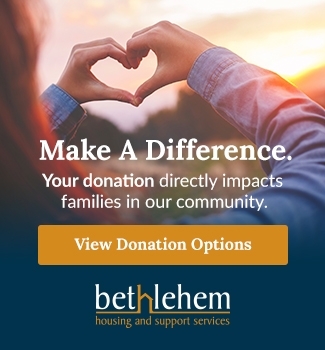 Her contributions have been a great benefit to Bethlehem and she will be greatly missed. When asked why do you care about our cause? She says, “Originally from Sudbury, I only moved to St. Catharines a few years ago. 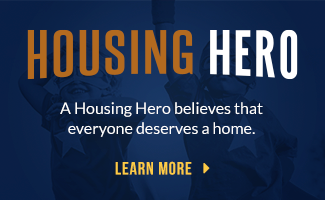 I was completely unaware about the issue of affordable housing within the Niagara region. The more I learned about the housing crisis while working at Bethlehem, the more it became important to me to help contribute to solving this issue in anyways I can." We are grateful for Lindsay’s contributions to Bethlehem and we wish her the best of success in her event management career.